My father, John Austin, was born in 1913 and brought up in the Brighton area. 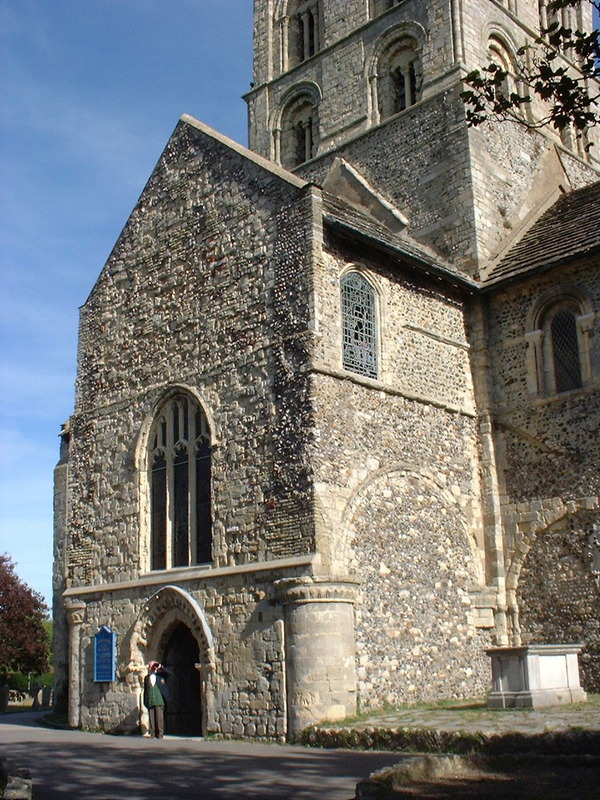 His mother died when he was two years old, and he was sent to the St. Wilfrid’s Children’s Home, also known as Steyning Children’s Home, Shoreham, Sussex. He stayed at the home until he was 14 years old. “A very kind gesture was made by the two Box brothers of Brighton when they supplied a complete set of gymnastic equipment, which turned out to be quite significant for me. They also spent at least one night a week teaching us. I did well and in 1926 was Sussex Junior Champion and was given a medal which unfortunately I lost when larking about in a field where it probably still lies. It seemed in those days that if you were good at sport you were accepted by most of your associates. This was also true when I later joined a Nautical School and later still when I joined the army. Being good at gymnastics opened a lot of doors to me which otherwise would have been closed. The same applied if you were good at boxing, soccer, rugby or cricket. I have been a keen follower of sport all my life. Besides gymnastics, my father also enjoyed being a choir boy at two churches, one being the church at ‘Bungalow Town’. I feel sure that there must be some photographs somewhere of children at the orphanage or of the choir boys but I’ve never been able to track them down. I’d be very grateful if anyone can give me any idea where I might find photos or information about the orphanage or the churches. Hi, I grew up in Shoreham after the war and remember the children’s home. 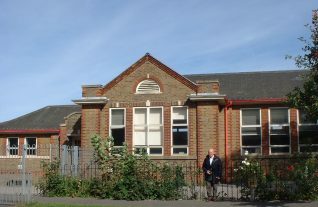 The school was known as Victoria Road junior and infants school (I went there). 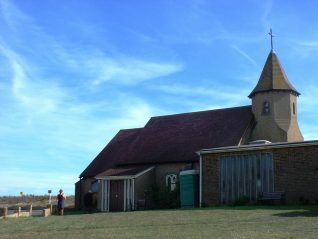 The small church is the church of the Good Shepherd on Shoreham beach and the other St Mary’s parish church. There is a very good site with very helpful Shoreham people called shorehambysea.com the essential community guide. They may be able to help you. Hi Diane. Thanks for your comments and information. Sorry I haven’t replied sooner. Sometimes my family research stuff has to come to a halt when family events take over! Hi Pat. My dad also went to St Wilfrid’s as a baby, although does not have such fond memories as your dad does of it. I’ve also been trying to find photos and more about it. Both my dad and his brother were put there, he never met his mother but I know she worked in the workhouse. I was born in 1959 in Shoreham and went to a playgroup held at St Wilfrid’s, but by then it was no longer a home. 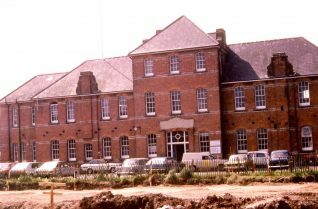 Hi – I wonder if anyone can help me with regards to finding records on St Wilfrid’s Childrens Home. I have relatives in the USA who are trying to find the origins of their grandmother. Her name was Violet Agnes Chapman she was born 1903/1904. She was admitted to St Wilfrid’s on 2nd August 1915. She emigrated to the USA at the age of 17 or 18 with a friend whom she met at the home named Grace Gale. I knew some boys there as they went to local schools. Quite often I got invited to christmas parties which were held in the big hall and bonfire parties. Then when the council took over the site, I had my wedding reception there and later on worked as cleaner in the council offices. I can remember two of the boys’ names who were in my class: David Hall and Lawrence Hays. Wasn’t it a Mr Pate who was in charge- he lived in a house at the entrance. I have got picture of him and the boys somewhere. My parents were assistant Superintendent and Matron at St. Wilf’s. I was born at Southlands Hospital and we lived there until the home was deemed “out-of-date”. East Sussex County Council then administering authority rather than West Sussex although the home was in Shoreham-by-Sea. We left in the early 1950s when I was only 6 or 7. There is a record of St. Wilfrid’s written by Mr. Alfred Smith, the Superintendent between 1933 and 1953, held at the Marlipins Museum in Shoreham. See also – Southlands, Workhouse and Hospital, by the Reverend John White. My mother Agnes Mary Wickham nee Humphrey was born at Pembury Union, Kent, but within days of her birth her mother and she were transferred to the Steyning Union in 1909, the family coming from Portslade. She left there in about 1921 and went to work in Rusper, nr Horsham, but returned to the Steyning Union for her holidays! Her mother died at Southlands Hospital as it was then called after 1934, during WW2. My mother died in 1993 but related to me, a few of her memories of that time. David Wickham. Hi all. I am also researching my husband’s family. He has two uncles that were placed at St Wilfrid’s, probably late 1940’s. Their names were Brian (b.1936) and George Morley (b.1938), both later joined the Royal Marines. I am trying to find out if, as teenagers, they were in some form of cadet force? Hi Patsy Clarke, I’m David Hall. I knew you and your parents well when you lived at the gate house at St Wilfrid’s home. I remember playing with you as a young lad and the bonfire night celebrations and Christmas parties in the church hall. I lived in Arundel House. Feel free to contact me via email: halld5940@gmail.com I will get back to you. As has been mentioned, St. Wilfred’s Children’s Home once formed part of the Steyning Union Workhouse. The original building was built in the 1830s and enlarged in the 1880s by the addition of two infirmary wings. When the original block was demolished in 1906, the infirmary wings became the Children’s Home. My three times great-grandfather William Comper and his daughter Louisa both died in Steyning Union Workhouse. In 1901 a brother and sister of my grandmother, Frederick James and Grace Twining Howden were in what I took to be a children’s home in Old Shoreham Rd, Sussex. I don’t know the circumstances but I always thought that they were there for a holiday from London. Both parents Robert and Kate were still alive but by 1911 Frederick had joined the army and later sadly lost his life in the war. Kate died in 1909 and in 1911 Robert had remarried and taken Grace with him to Nottingham. Last time I looked there was no mention of any children’s homes, so thank you to all the messages. It just says Old Shoreham Rd and Southwick urban district on the original census sheet. The writing is dreadful! We are sorry we have had to delete your comment.We do not allow requests for information on individuals born after 1911 (census date), as providing said information without their knowledge or permission,breaches data protection guidelines. We do not share e-mail addresses for the same reason. Hello Pat I am writing from Australia and I have just found a document that tells me my Mother and her three brothers and 3 sisters all were put into St Wilfred’s as children in 1940. I am so happy you had a photo so I can show my Mum. Who is in her 80’s now and cant remember what the place looked like. So thank you for posting Your Story. My father Frank Eugene Wheeler and his twin brother William Thomas Wheeler were placed in St Wilfrids in January 1941 and remained in the care of the institution for more than five years. I’d love to know how I can find details of the home if anyone can help. Hi, I believe I was in this home from birth to approx six years. This was in 1953 to approx 1959-60. There was a lady member of staff who wore a nurse’s uniform by the name of Sister Burgess. I do remember her as she took a lot of photos which I have to this day. I am trying to find out what happened to the home. I subsequently was moved to Ifield in Crawley and spent the rest of my childhood in another home there. Is there anyone who can help?